Florida is known for its sunny weather, but it also known for its rain storms. Orlando receives an average of over 50” of rainfall each year. Disney fans can still have a great time at the parks when its rainy weather. It will often rain for an hour or so and then clear up. Here are some tips on what to wear and bring along to handle rain at Walt Disney World. First of all, guests will want to dress accordingly. Rain coats, ponchos, hats, umbrellas, and water-proof shoes will make your day more enjoyable. Florida rain isn’t always a cold storm, but guests will want to wear clothing that can get wet or help them from getting too wet. Disney fans can rent lockers at both park entrances to keep dry clothes and swap out your wet clothes later. The park also sells umbrellas and rain ponchos. Florida rainstorms won’t last long, some breeze in and out in 30 minutes so try and wait out the rain if you can. Also remember too that the Walt Disney World was built with Florida weather in mind so rain at Walt Disney World certainly won’t ruin your day! Here are options for each park including which rides have to close in the rain with recommendations if you want to stay dry during the rain at Walt Disney World. Ready to Plan Your Walt Disney World Vacation? There are several attractions at Magic Kingdom that are indoors and there are also many line queues that are indoors as well. Rainy weather is a great opportunity to check out some of the shows offered, including Enchanted Tales with Belle, Philharmagic, The Tiki Room, The Carousel of Progress, Monsters Inc. Laugh Floor or the Hall of Presidents. Main Street is another great option. The shops are dry and many of the shops are connected. Disney fans can also take the train to Conservation Station at Rafiki’s Planet Watch where they can enjoy several indoor exhibits. The Kilimanjaro Safaris still run in the rain and are fun to do if it isn’t raining too hard. There are also some great shows to see. The Festival of the Lion King is a fabulous show to watch and stay dry. This spectacular stage attraction is based on the 1994 Disney film, The Lion King. It’s Tough to be a Bug and Finding Nemo The Musical are two other fun shows to watch as guests escape the elements. Guests can also enjoy the Art of Disney Animation which has multiple exhibits. Hollywood Studios believe the “show must go on” even when there is rain at Walt Disney World. Guests looking for dry entertainment can enjoy MuppetVision 3D, Voyage of the Little Mermaid show, For the First Time in Forever: A Frozen Sing-Along Celebration, Beauty and the Beast – Live on Stage, and Walt Disney Presents formerly, One Man’s Dream. Disney’s Epcot also offers some great rainy-day activities. Guests can enjoy entertainment such as Ellen’s Energy Adventure which is located in Future World East, within the Universe of Energy pavilion. This forty-five-minute presentation features a movie and a slow-cruising ride. Future World in general is a great rainy-day spot. Virtually all of the attractions at Future World are indoors. Some other attractions to enjoy in Epcot include Soarin’, the Circle of Life, and Living with the Land in the Land Pavilion, along with the Seas with Nemo and Friends and the Gran Fiesta Tour featuring the Three Caballeros. Other indoor shows include the World Showcase’ panoramic film. Guests can also find characters at the Character Connection between Club Cool and Innoventions. Only Test Track at Epcot closes during the rain. Every resort has a wide range of dining options, from quick service to character dining. Enjoying a long meal is a great way to escape the rain. Check out the following articles on where to eat at each resort. Guests can also turn a rainy day into a shopping day. Disney Springs is a waterside promenade with lots of unique stores and great restaurants. While it is an outdoor area, guests can duck indoors to shop and eat at their restaurants. 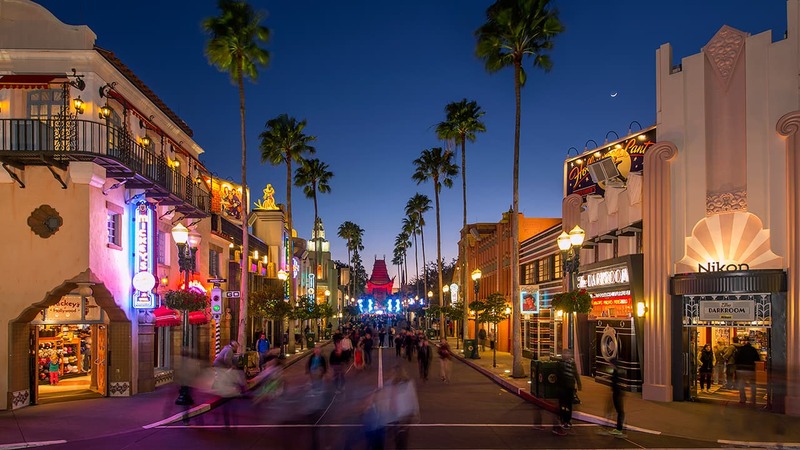 Disney fans can browse over 100 shopping options and over 50 dining options. Click HERE for a list of Disney Springs stores and restaurants. There is also a bowling alley, Splitsville Luxury Lanes™, and AMC® Disney Springs 24 Dine-In Theatres, which are both great rainy-day activities. Check out the article, Disney Springs: Ultimate Guide to Dining, Shopping, and Entertainment. Rainy days are a great time to resort hop and check out the amazing Disney World hotel resorts. Click HERE for a list of the Disney World resort hotels. The Disney’s Grand Floridian Resort & Spa, Disney’s Polynesian Village Resort, and Disney’s Contemporary Resort are monorail stops that are covered or indoor. These hotels are all unique and offer shopping and dining options. Click HERE for a link of the monorail stops. What to Do When it Rains at Disneyland? Use Our Disneyland Rain Guide! Next Post: Disneyland Tour Options: Comprehensive Guide to ALL the Tours at Disneyland!